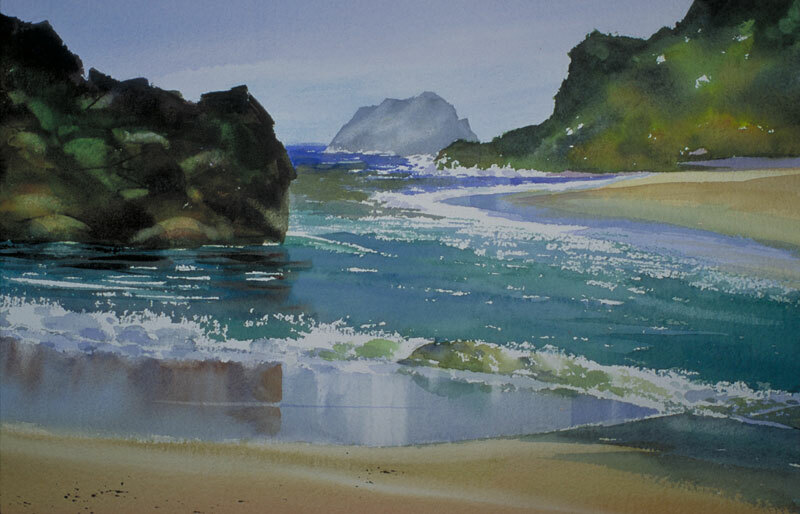 Thomas Freeman Original Watercolor Painting: "River and Sea"
There's a little backwater area where the Navarro River meets the ocean. I liked the reflections in the water and sand. I gave the river its natural greenish color, which contrasted with the deeper blue of the ocean. The darker rocks add strong values.